Located at the southern end of beautiful Lake George in the Adirondack Mountains, our rentals are minutes from the Village and are the perfect getaway..
Caring for classic wooden boats and their owners since 1928. Experience our boat shop; view videos & browse images of wooden boat building. 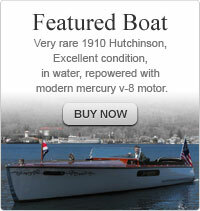 Enjoy shopping our virtual showroom of classic and antique wooden boats.